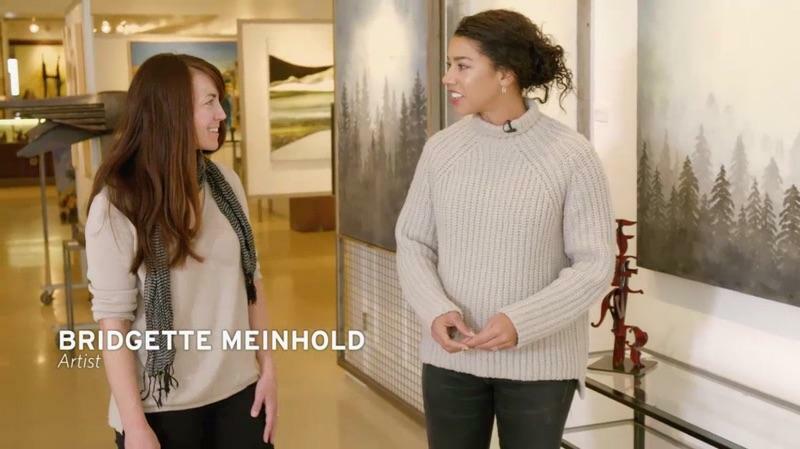 National travel TV show, 1st Look recently visited Park City to check out all the fun winter activities we have to offer. Guest hosts and influencer couple, Hannah Bronfman and Brendan Fallis came to Gallery MAR and interview me about my art work. We had a great chat in the gallery and I got to talk a bit about my process and inspiration. Big thanks to Gallery MAR, Visit Park City and 1st Look for the feature. You can watch the whole episode online at NBC here.